500 Watt pure sine wave power inverter is suitable for home use with buit-in fuse and intelligent cooling fan to provide a full protection, offering input voltage 12V/24/48V DC and output AC 110/120/220/240V for your choice. 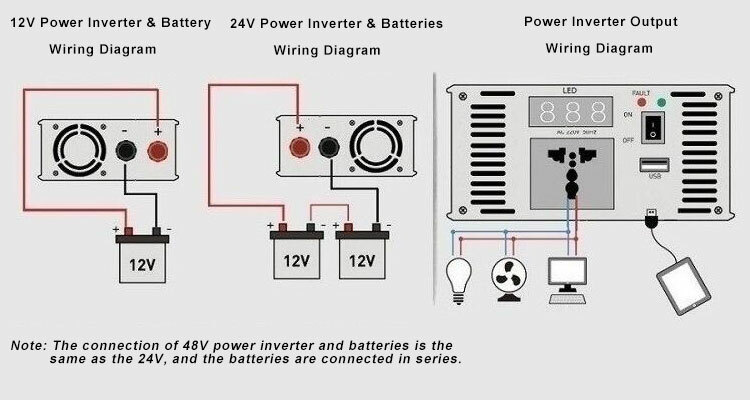 Tips: As the 500W inverter is connected to the car cigarette lighter, the buzzer alarms. Why? The connection wire between cigarette lighter and the battery is too thin. There is an oxide layer on the contacts of the cigarette lighter have, causing poor contact. The wires from cigarette lighter to the battery are relatively thin, unable to bring a lot of load.